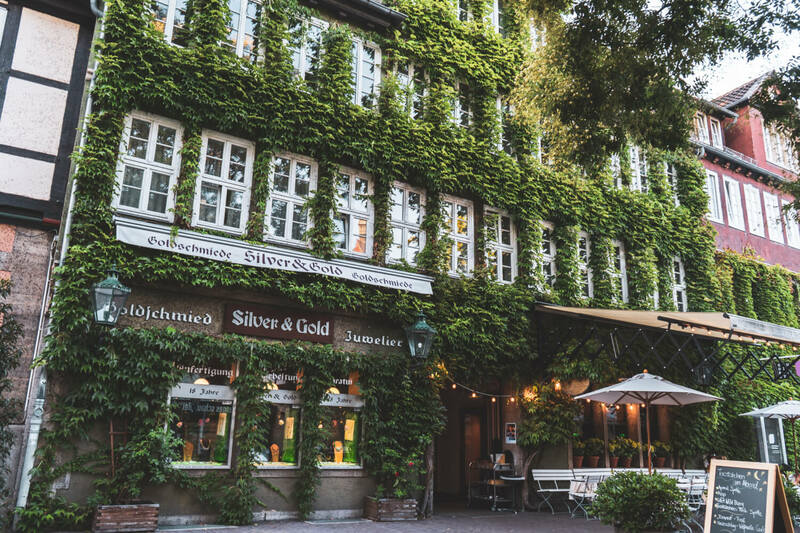 This post about Hannover, Germany was written in collaboration with Visit Hannover. Today my friends, I want to tell you the tale of a magical, faraway land. A land that blessed the world with life-altering revelations like the gramophone, binary (0010101100101 ) and classic rock crooners, the Scorpions. … A land whose royal court gave us Queen “Grandmother of Europe” Victoria, one of THE most important figures in modern history. It might shock you to know that this magical land I’m talking about is Hannover. A) It’s likely you’ve never even heard of Hannover before, or B) you know it for its (typically) lacklustre reputation as a travel destination. While sure, Hannover IS best known for being “trade fair central” and a less popular place to visit compared to Munich or Berlin, that in itself provoked the stubborn donkey-person inside of me. Skeptical as always about sweeping statements like “Hannover is boring, nobody goes there”, I recently spent a few days in the city with Visit Hannover… and I can at last confirm: Hannover is one of those cities that suffers from a brutally misunderstood reputation. Don’t worry though, this post will guide you through all the incredible things you (probably) didn’t even know you could do there. Want more candid shots from Hannover? Check out live clips from my Hannover visit on my Instagram Stories highlights! Travel snobs (especially of the German variety) are quick to dismiss Hannover as “boring”. And as I soon learned, Hannoverians (which sounds like a lost breed of dinosaurs, tbh) are far too humble to defend themselves. So I’ll volunteer as tribute and do it for them. The appeal of Hannover is multifaceted, but I’ll quickly break down some reasons why you might want to visit. It’s still not “mainstream”. Call me a hipster, but there’s something special about discovering a destination you haven’t seen mapped out on social media time and time again. With Munich or Berlin, you know the main sights, you’ve seen them through the lens of a million filters, but Hannover? Every step, every corner is a surprise (but in a fun, adventurous way, not in a sketchy dark alley way). Let’s say my inner Dora the Explorer was muy stoked. There’s an abundance of cool events. I have a longer list of events at the bottom of this post, but trust me when I say Hannover really knows how to throw a party. And whether you’re looking for literal fireworks or just a fun gathering of buzzed Germans, there’s something visit-worthy year round. The history is a nerdgasm waiting to happen. *heavy breathing* Do yourself a favour and have a quick read on Hannover’s history. Or maybe come and see for yourself. From the House of Hannover glory days to utter destruction during WWII, the streets here are like a History Channel documentary come to life. 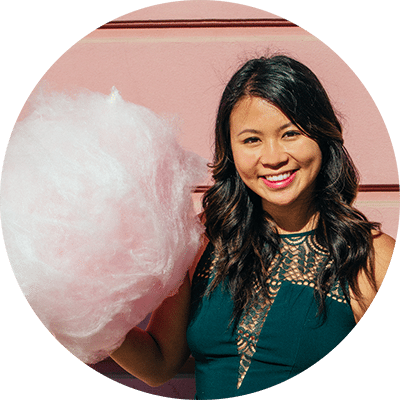 So now that I’ve (hopefully) convinced you of Hannover’s many merits, allow me to seal the deal with a sweet list of things to do in Hannover. I promise, they’re cool and delightfully unexpected. Hannover’s Red Thread is a genius hack for the easily lost and confused – it’s a long red line painted into the ground that stretches for over 4km and takes you to the city’s most important (and beautiful!) sights. Once on the Red Thread, it’s impossible to get lost, and you get to see the highlights of the city like a total pro. BONUS TIP: You can easily purchase a guidebook for 3 euros from the Tourist Information Office to get the inside scoop on each sight’s context and history. No excuses – it even comes in 10 different languages. I mean, why do more cities not have this? 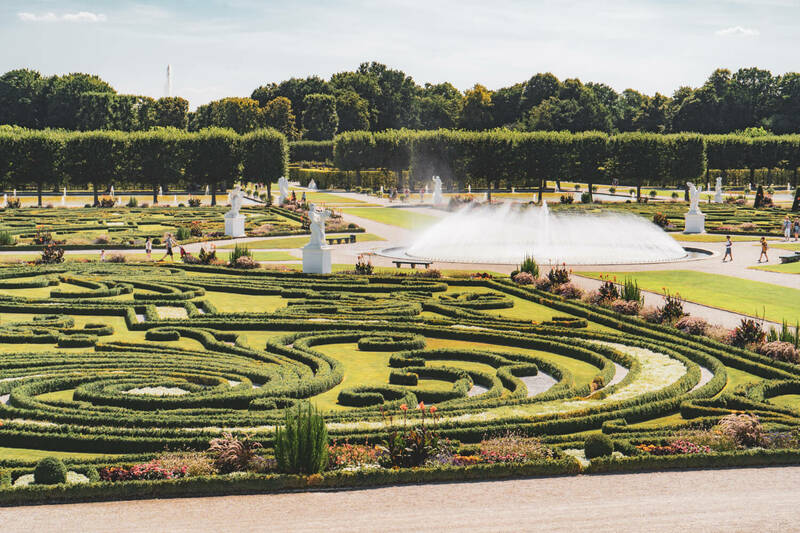 10 minutes away from Hannover’s city center is one of the most beautiful royal gardens in Europe – the royal gardens of Herrenhausen, a Baroque masterpiece filled with endless stretches of manicured hedges and colourful blooms. The best part? This place lights up in the summer (literally) with endless festivals, including an International fireworks competition. BONUS TIP: The restaurant right outside of the gardens (Restaurant Schlossküche Herrenhausen) serves amazing cake. Come hungry. Hannover’s New Town Hall is one of the city’s starring attractions, not only because it’s purdy, but because its elevator is unique in the world for a curving lift that takes you at a 17 degree angle up to the cupola. The experience, while disorienting like that “room spinning” feeling after too many beers, is more than worth it because the view from up top is the most glorious view you’ll get in Hannover [no beer goggles necessary]. BUT, pro tip: the lift is also open on Sundays, which many people don’t know about, which means you’re pretty much guaranteed a shorter wait. PRO TIP: Don’t miss the interior of the Town Hall itself, which is not just beautiful, but houses four town models that depict Hannover’s historical evolution from 1689 to the present day. It’s a harrowing look at just how much WWII affected the city and how much the city has evolved in the decades since. Linden, while technically part of Hannover, is a unique neighbourhood that makes a worthy destination all on its own. 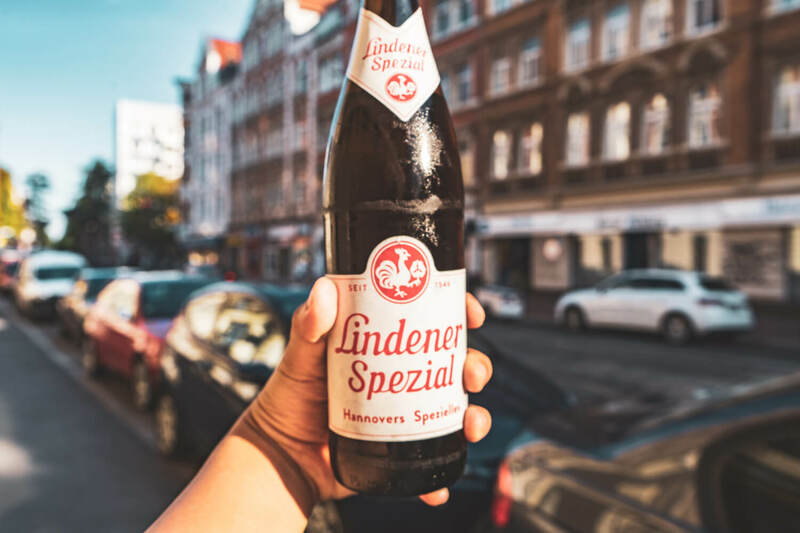 If you’re craving a bit of cool during your Hannover city break, a stop in Linden is a must. 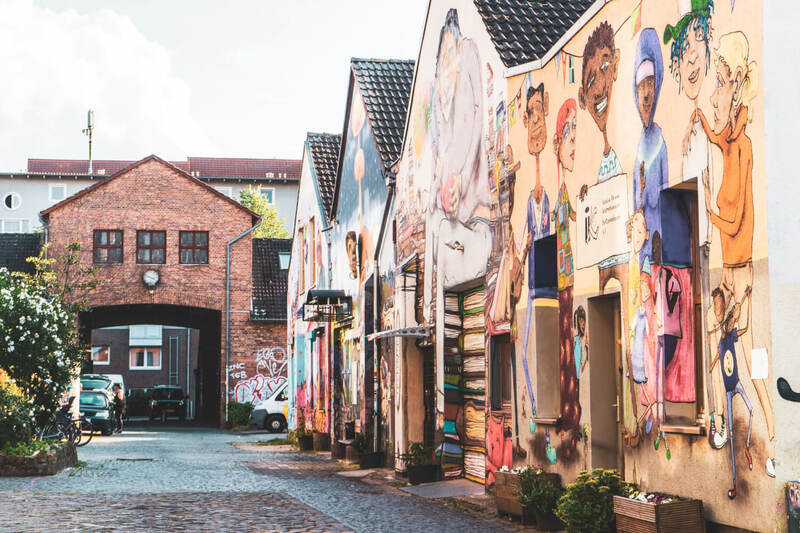 Packed to the brim with cool restaurants, cafes, bars, independent shops, street art and more, this part of town has become THE gathering place for students, academics and creatives. It was here in Linden that I was introduced to a beloved past time of local youths: “Limmering”, drunkedly stumbling from kiosk to kiosk, treating yourself to a new beer at each stop… like a pub crawl but with tiny street kiosks instead. Granted, I only needed one beer to get the idea (after all guys, I’m a profe$$ional), but it was a great way to experience a neighbourhood once proclaimed by a journalist as “what Berlin was felt like 20 years ago”. Of course, there are far more things to do in Linden than just drink beers. While tiny in size, Hannover’s Old Town is still worth mentioning as one of the top things to do… especially given its cutesy, Disney-esque appeal. 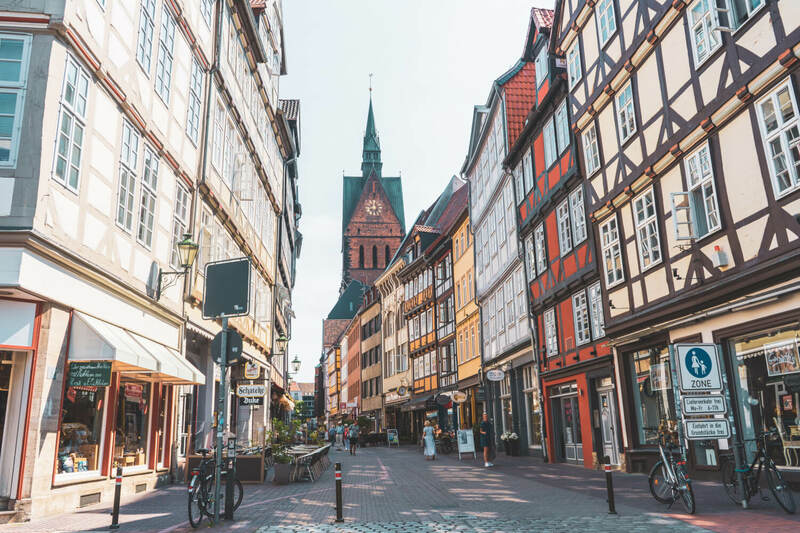 With half-timbered buildings framed by buzzing terraces and a super central location linking Hannover’s hotspots, stopping here is a must… if even just for a quick look and photo. NOTE: Of course, the Old Town pictured here isn’t actually that “old” in reality. 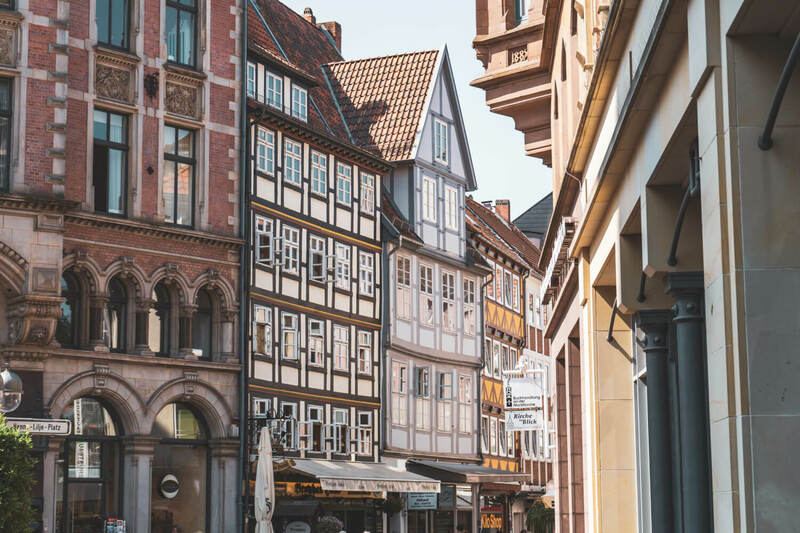 Like much of the city, Hannover’s original old town was completely bombed during World War II, and what remains today is a reconstruction that incorporates some of the few facades that survived. This explains the “Old Town”‘s more polished look and feel, but hey, you can’t complain when it looks like this, right? 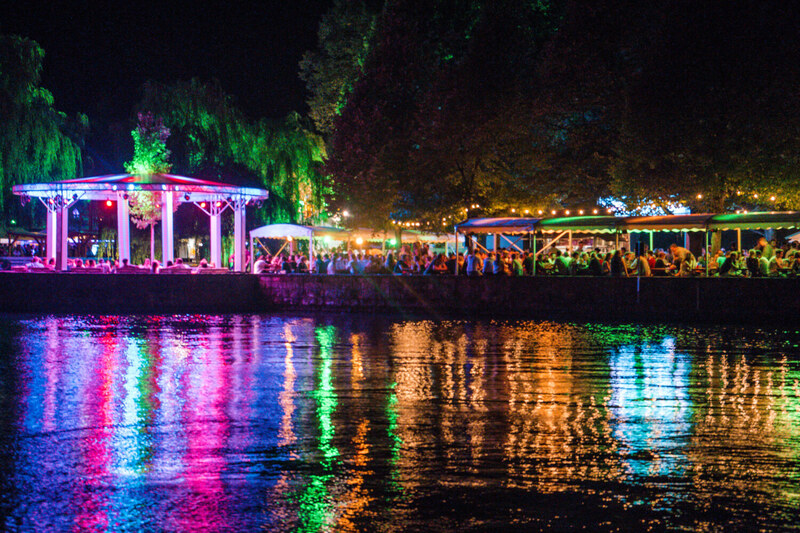 Along the banks of Hannover’s River Leine is where you’ll discover Germany’s oldest flea market, which takes place on Saturdays. Here, you can rummage through dozens of stalls peddling antiques, paintings, and all kinds of wonderful junk you never knew you needed. From hand-painted pendants and antique teacups to candlestick holders and umm… more antique teacups, this is THE best place to pick up a historic and unique souvenir from your time in Hannover. PS: The cutest thing you might spot here are the famous Nanas statues by Niki de Saint Phalle. 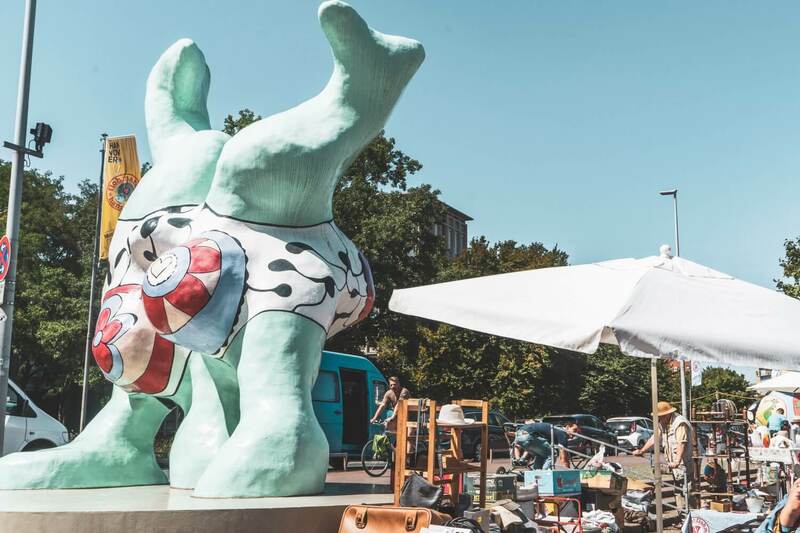 That famous Black Eyed Peas lyric “lovely lady lumps” might have very well been written about these colourful, buxom statues that first angered Hannoverians upon their installation in the 70s, but is now firmly a part of the city’s quirky cultural landscape. At the very least, they make for a fun, colourful photograph. As our guide told us, Hannover has a breezy “10 minute rule”, which means you’re essentially 10 minutes away at any given moment from a green space in the city, whether that’s a park, massive artificial lake (Maschsee), or um… a municipal forest. That’s right, in Hannover is where you’ll find the Eilenriede, Europe’s largest municipal forest, featuring over 640 hectares of woods. Besides offering a green escape in the city center, on some days, it’s reported you might even spot foxes, deer and bats. Depending on your interests, that piece of information was either cool or terrifying. I hope it was the former. NOTE: Hannover’s green spaces are best appreciated with a yummy picnic and ice cold beer in hand. 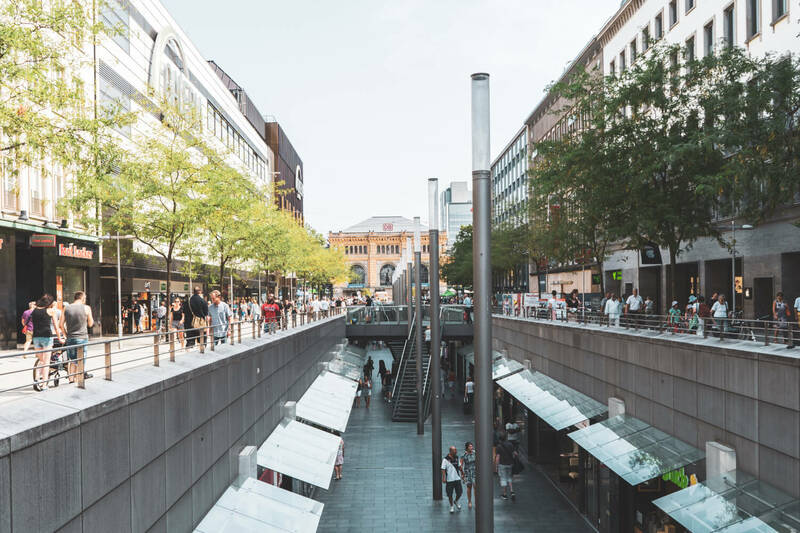 I don’t usually like including “shopping” on things to do lists, mainly because I think there is so much more to offer in most cities, but the shopping in Hannover is especially noteworthy for a few reasons. Firstly, there’s the Kröpcke, the main central square of Hannover, which is marked by streets upon streets of pedestrian-only shopping, making it especially pleasant since you know you won’t be getting run over 😉 This is where you’ll find many popular chain shops, and a great place to bum around for a few hours. For a more alternative shopping experience, there is also a thriving independent shop scene, especially in neighbourhoods like Linden, where you can grab more unique pieces if you so desire. 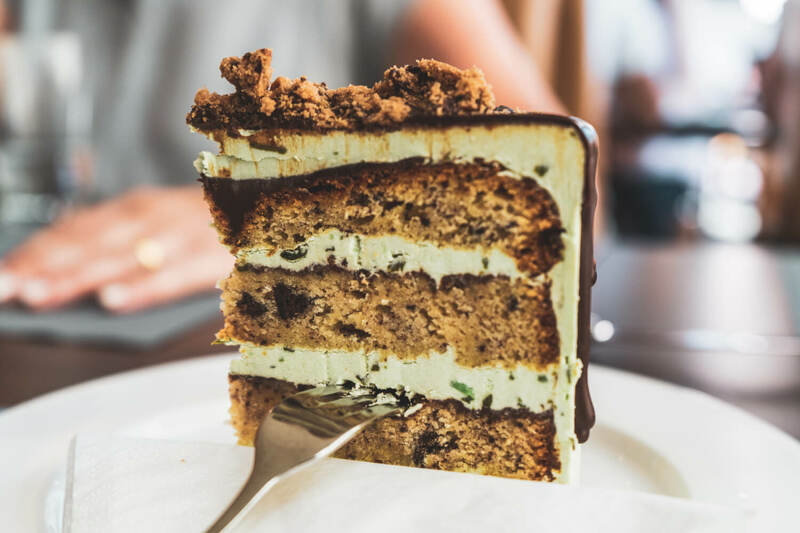 Psssst, when you start to feel hungry after making it rain cash money, I’ve heard great things about Market Hall (AKA the Belly of Hannover) which offers up a huge and delectable diversity of international cuisine. Last but not least, it’s worth mentioning that a trip to Hannover is best enjoyed when in conjunction with one of the city’s many big events. Okay, almost done, I promise! A final bonus entry on my list of things to do in Hannover is visiting fairytale Marienburg Castle. Located 20km south of Hannover, Marienburg is a Gothic revival castle built in the 19th century. Actually, more accurately, it’s one of the most romantic birthday gifts of all time, built by George V (the last king of Hannover) for his wife Marie. Yes, indeed – Marienburg Castle was a 39th birthday gift – a castle with 160 rooms and sky high watchtowers… how romantic. … Meanwhile, I can’t even get a text back. So, last little tip for ya: if you’re planning to visit Hannover and intend to do a lot of sightseeing, consider getting a Hannover card, which gives you travel on all buses/trains within the city, and a lot of discounts at major attractions like the gardens at Herrenhausen and a few different museums. There are Hannover cards for 1-3 days for both singles (solo riders) and groups (up to five people). If used wisely, the savings can be huge. 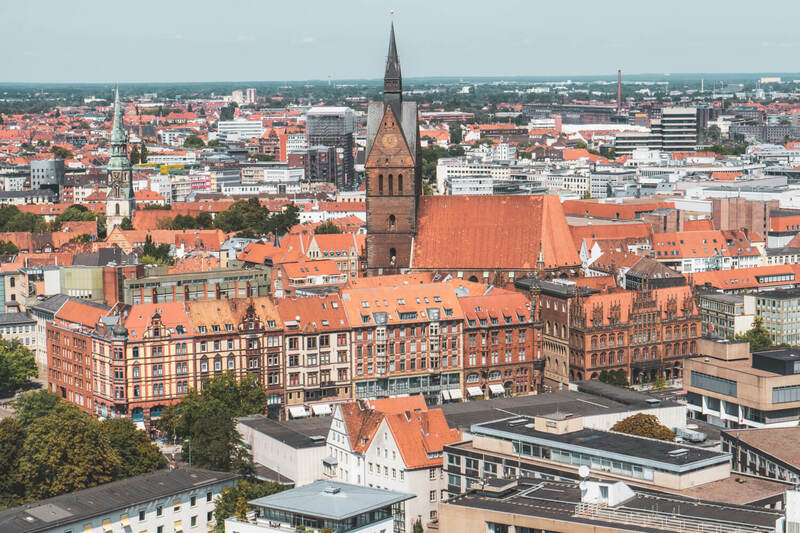 Where to buy the Hannover card: You can get the Hannover card at a variety of locations, including the airport, multiple hotel reception desks and Hannover tourist information centres. As I was told, often the people of Hannover are too humble to brag about their own city, so I’m here to do it for them. Now, as you can probably tell, when I find an unappreciated city I like: everybody is soon to know. I do more than shout it from the rooftops, I paint it across the whole building and take out ten billboard ads just in case. Think of me as an overprotective stage mom that wants the world to know how talented her kid is. In this case, said ‘talented kid’ is Hannover, and my incessant wailings have come to you in the form of this blog post. I hope you liked it, and take a chance on humble little Hannover. 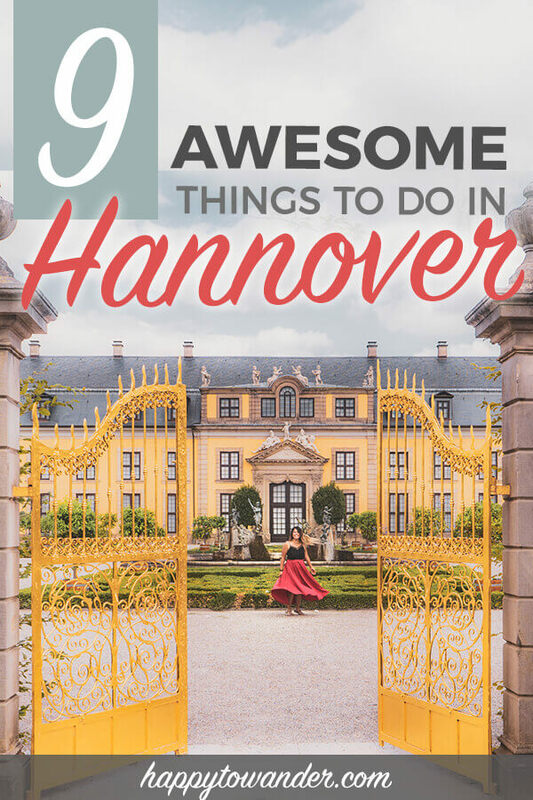 I hope you enjoyed that thorough guide on things to do in Hannover! 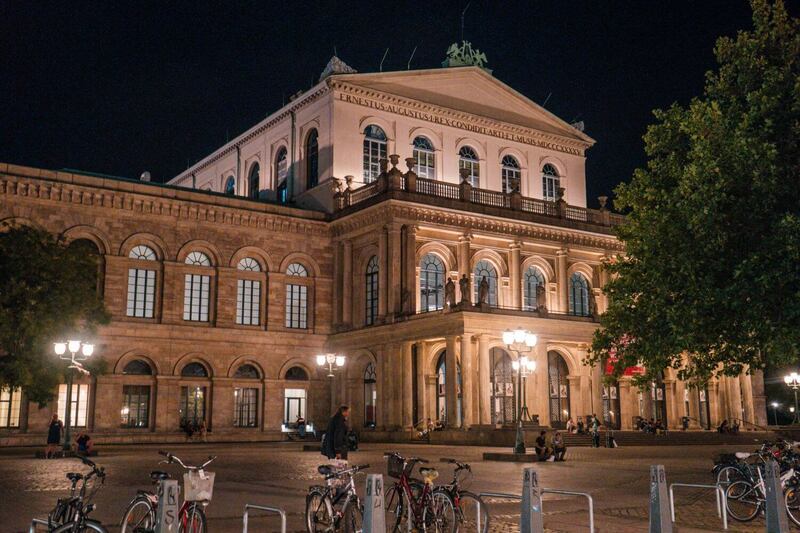 Have you ever been to Hannover, or are planning to go? Let me know in the comments! I actually never thought of Hannover before. This looks so cool! We were going to stop in Hannover en route to Berlin this summer, but bad delays on the motorway scuppered that plan, shame. Next time! *Hanoverian is the correct spelling in English. Hannoveraner ist die richtige Schreibweise auf Deutsch. I like my city, but if you look around in germany most people from other cities don´t wanna come to Hannover as they find it ugly and boring as you said, but we are the “greenest” city in Germany and our city park is the biggest in europe and twice the size of the Madison Square Garden. One tip for tourists : Make sure you visit our oldest private brewery “Herrenhäuser”. It costs 12,50€ but after the guide showed you the beer brewing process you will be taken into a tower room and then you have 2!!! hours to drink and test all the beers they produce including snacks. The “cheapest” chance to get boozed by local private brewed beer and a little taste of history from Hannovers oldest still producing brewery founded in 1868. But you have to register a tour in advance as a lot of locals are doing this frequently ^^ The brewery is just a 10 minute ride from the city center away. Here you can sign up for a tour…( sadly it´s all in german, but i think you´ll get through it ). Well, I do live in Hannover and though most of the world denies it, it‘s not only nice for a visit, it‘s a great town to live in. We born Hannoveranians tend to say it is the best town in the world. Not as big as Berlin or Munic, not to talk about New York or Vienna, but that makes it even better. It‘s more peaceful and mostly safe – even for women. Nevertheless we do have theatres and an opera, an airport with a moderate size, so nobody needs to fear they get lost. And we don‘t have that much tourism, so we have the city mostly for ourselves without it being overcrowded. Well… thinking about that point…. I don’t think I can recommend visiting Hannover anymore… but if you do – have fun.